It kind of feels like Christmas Eve! The Nordstrom Anniversary Sale officially opens to the public and non-cardholders tomorrow. I’m here to help you navigate the waters of the biggest sale of the year. I’m going to jump right into things and kick this off with 3 tips for what to do now that we’re one day out. Below that you’ll find my try-on’s and what didn’t work and then my top picks by category! I’d recommend reviewing posts and clicking on links of things you’ve seen posted in the Early Access sale this past week. A ton of products sold out in the past week and won’t show up on the site right now, but come tomorrow will be back! I wouldn’t want you to miss anything that was awesome and will be restocked. Check out my post on tips for shopping the sale and everything I rounded up from Early Access that I loved. A lot of people have been using the #nsale hashtag to identify pieces they’ve tried on or looks they’ve already taken photos of. You might also find things that people have posted here that you are interested in! 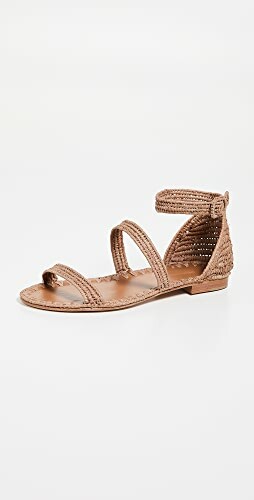 I’m keeping mine in an email draft and will be opening all of the links of the things I really want in my size first thing in the morning! 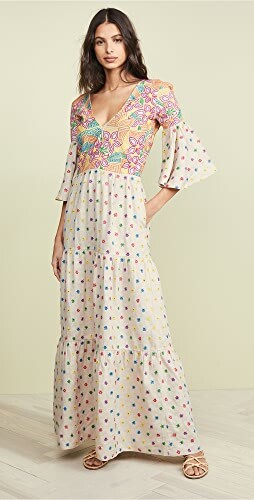 I’m going to place a quick order with those items (fingers crossed they’re in my size and back in stock) and will do more browsing after that. 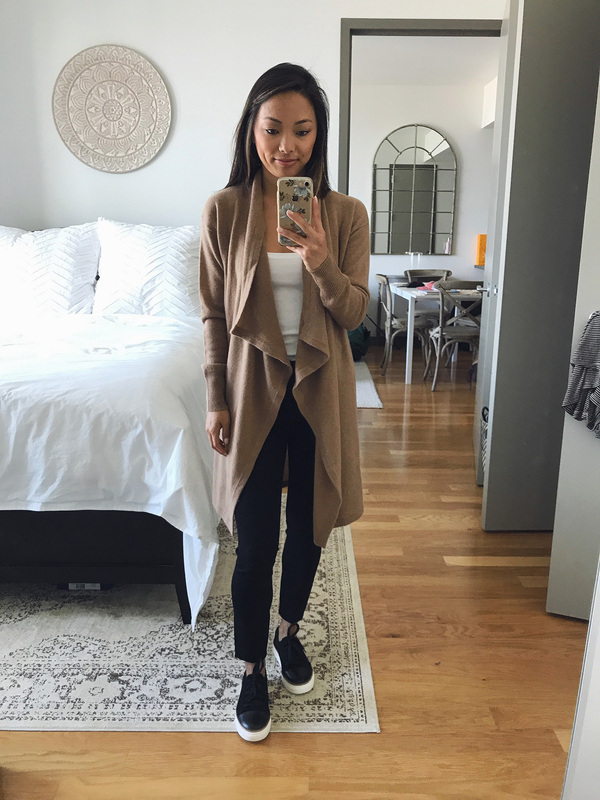 Halogen Cashmere Long Drape Front Cardigan – I am OBSESSED with this cardigan! 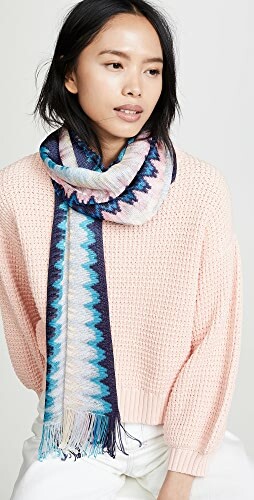 There are so many people have suggested on the sale but the cashmere is so incredibly soft and I know I’ll wear this all of the time. I couldn’t recommend more! 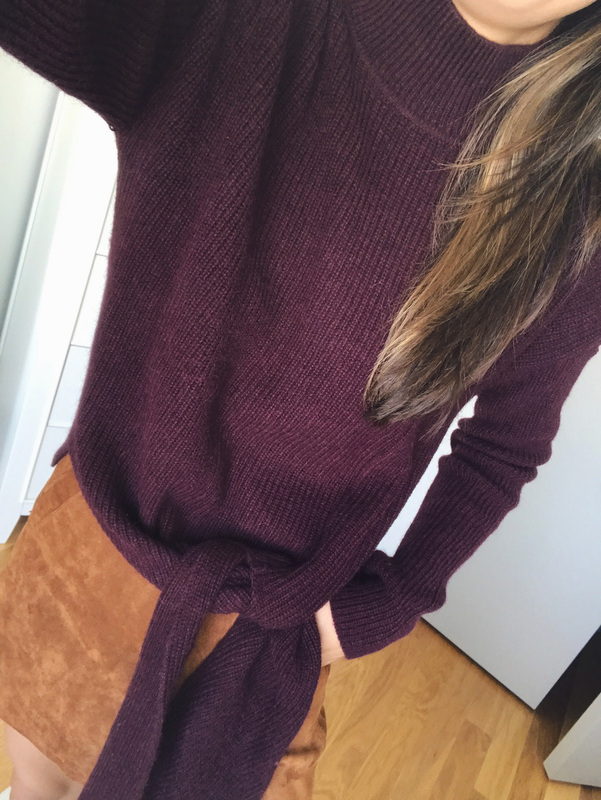 Halogen Tie Hem Sweater – I almost got this in a few colors, but decided on burgundy because I don’t have a lot of sweaters in this color. 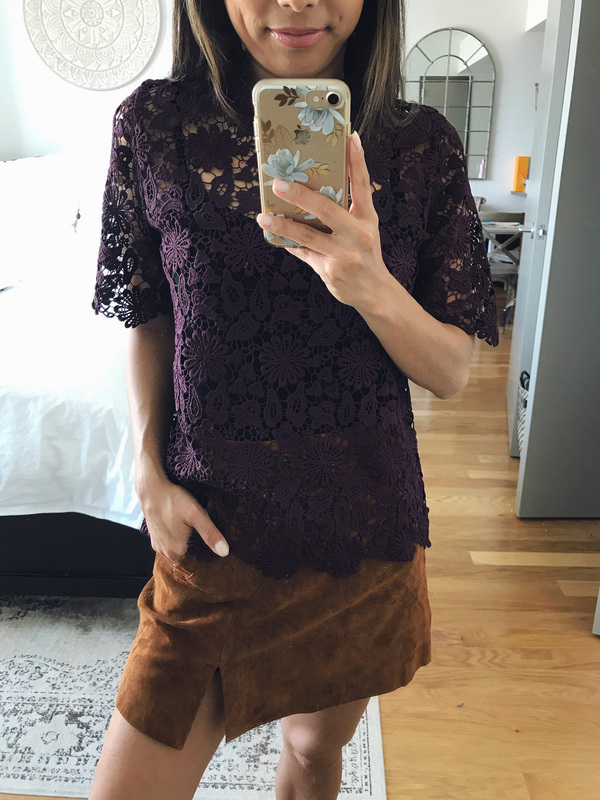 It fit perfectly and I loved the idea of pairing it with this suede skirt. 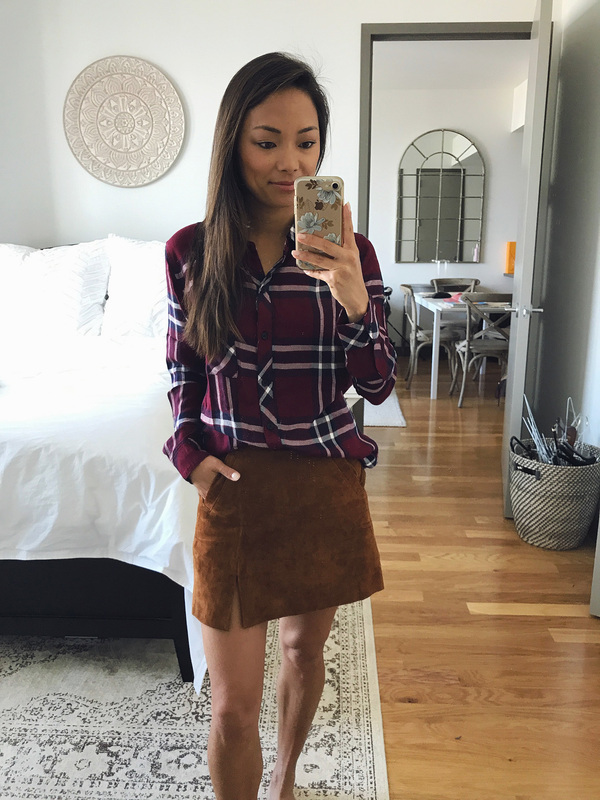 BlankNYC Suede Skirt – I was a little surprised I haven’t seen more people showing this off because it’s one of my favorite pieces that I got. 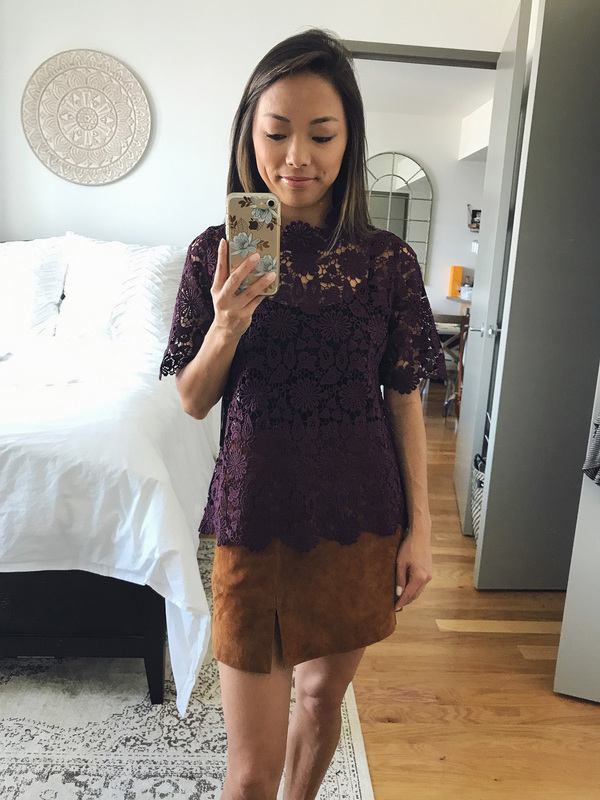 It’s perfect for fall in the brown suede and really fits me so well. I would say it runs TTS because it’s a little high waisted. Leith Easy Circle Cardigan – This was my second favorite item of the sale! I love the color and even though it’s not as soft as cashmere it’s very soft and comfortable and I can see this being a fall staple. I loved the way it looked with this skirt! 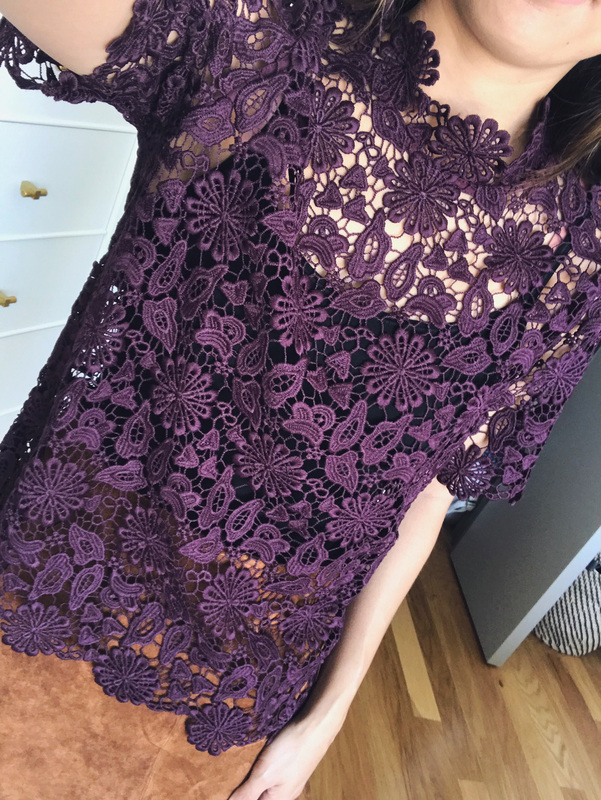 Halogen Sheer Lace Top – I tried to focus on basics and casual clothes, but this sheer lace top was so pretty! I loved the idea of pairing it with these jeans and heels for a more dressy fall look. Frame Denim Skinny Step Hem Black Jeans – I wear black jeans religiously throughout the fall and winter and haven’t bought a new pair of nice ones in 4 years, so I figured I’d give these a try. They fit SO well and feel like butter. 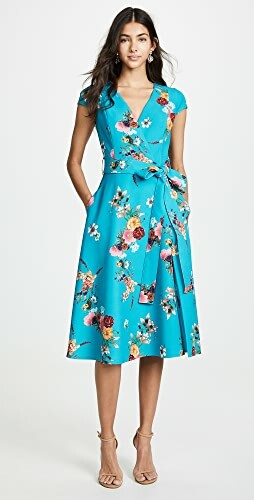 They’re a tiny bit long on me so I’m going to have my tailor mimic the hem since it’s so unique. They also are TTS for your regular denim and are a little high waisted and super stretchy. 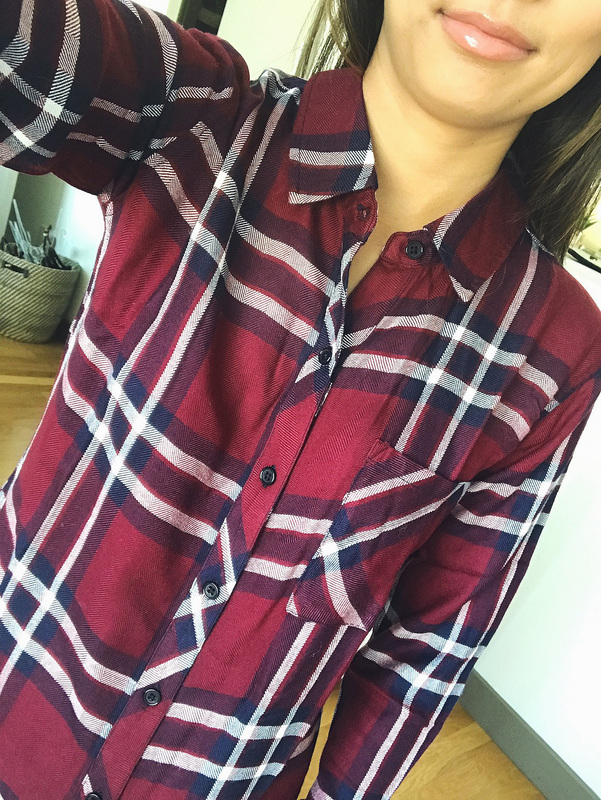 Rails Plaid Shirt – Raise your hand if you’ve wanted a Rails shirt but didn’t want to splurge? This is a good time to snag one! I wanted something truly “fall” and that I could wear in future seasons. They also had an XXS which I need in Rails shirts otherwise they’re way too big on me. I’m super excited to pair this with these jeans and booties. 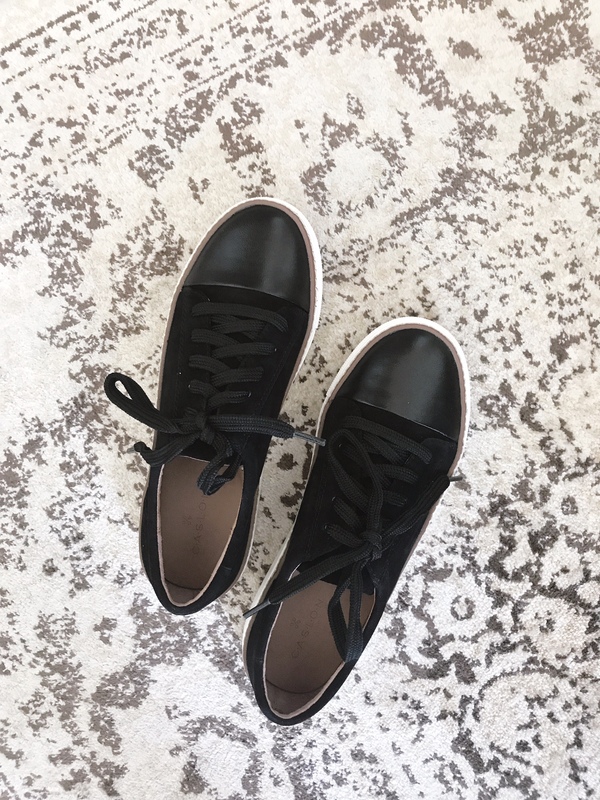 Caslon Sneakers in Black – I was so worried these would come and be huge and I’d be heartbroken and I was so excited that they fit perfectly (I’m a size 5). I love the way that they look with leggings and I don’t have any sneakers or flats for the winter so these fill that need. 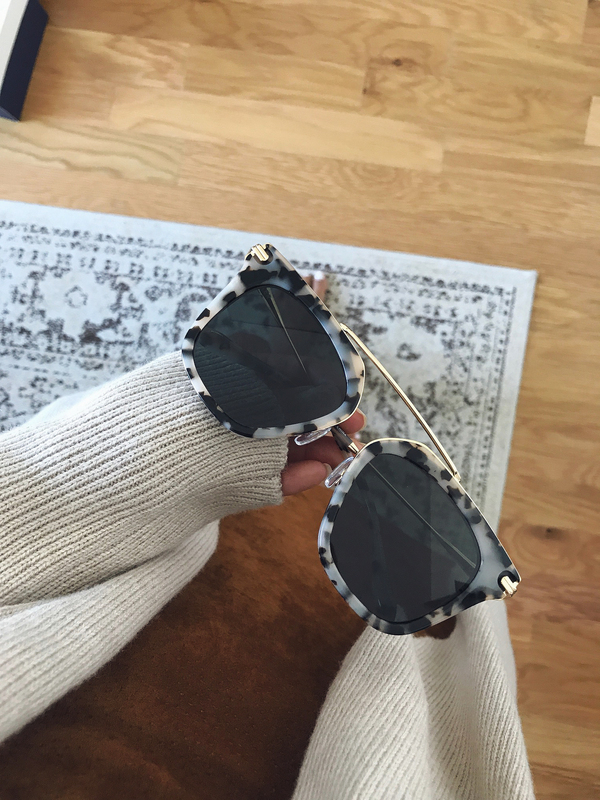 Parker Tortoise Sunglasses – These are so fun and look way more expensive than they are. 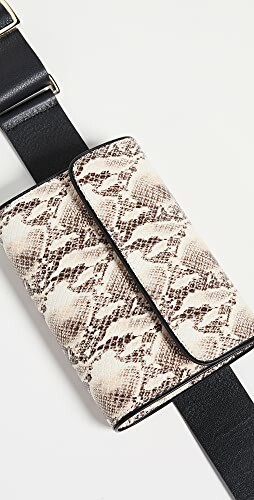 I’m swapping for the regular tortoise instead of the lighter, but love them. Crossover Ring – I’m always looking for classy, but not super expensive rings for my little size 5 fingers. This ring is stunning and looks like the real thing, but is under $40! Ralph Lauren Wool Reefer Coat – There’s a reason this coat sold out in camel in the pre-sale… it’s amazing and SO affordable. The only reason I had to send it back was because it was sadly too big on me. I would snap this up in a heartbeat if you’re looking for one! 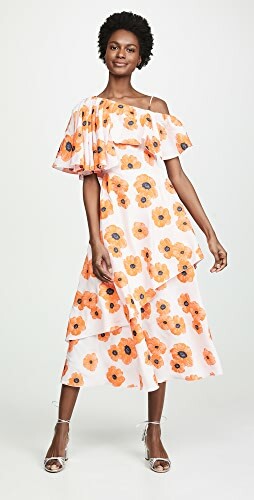 Trouve Slipdress – I loved this dress and wanted to keep it, but it was a little long on me. For the taller ladies this is all you! Le Specs Mirrored Aviators – These are SO cool, but I think too cool for me and my little face. I couldn’t pull them off but think they’re awesome! Faux Leather Shorts – I wanted these so badly, but they were a little big on me and didn’t fit the way I was hoping. At the very top of my list are the Stuart Weitzman boots, and this wool coat in my size. 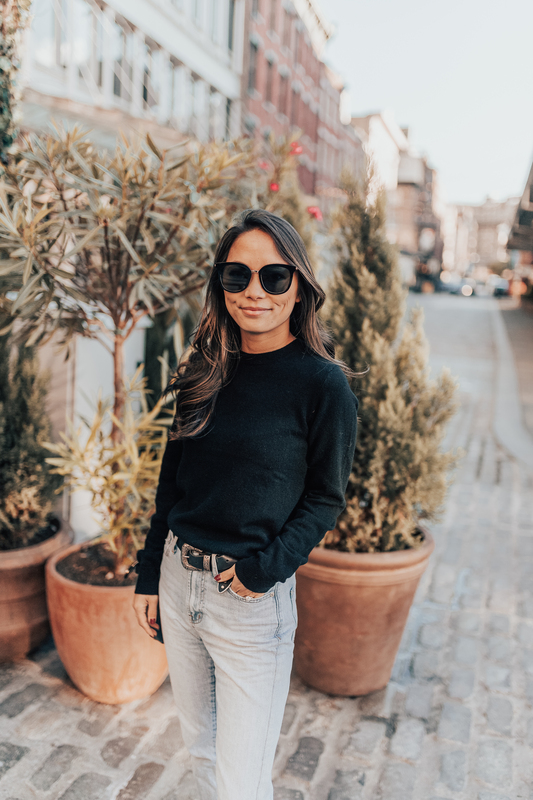 Other things to definitely snag FAST are these AG jeans in your size, If you don’t have a suede jacket, this BlankNYC one was a hot item last year and I have it – it’s great! 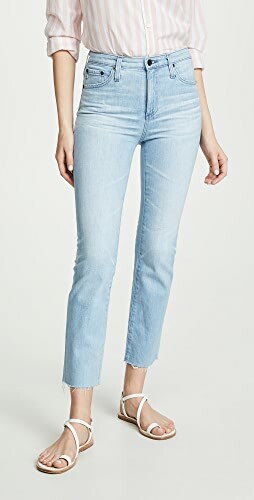 Don’t forget these jeans are amazing and this is my favorite cashmere sweater on the sale! I have my eye on two coats that I’m trying to snag in my size – this wool reefer coat and this long camel coat. 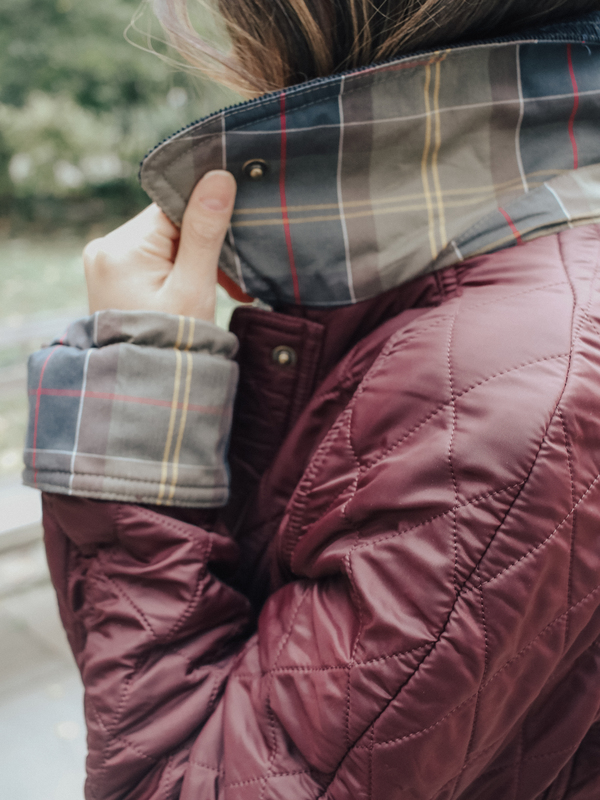 There are a ton of great deals on other wool coats and things like puffer jackets and now is the time to get the if you’re in the market. This pair of camel boots are elegant and classy and if I didn’t already have several camel pairs I’d scoop them up. 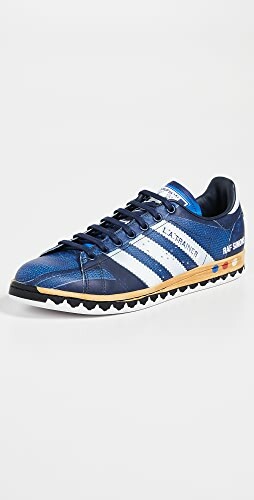 Everyone’s excited about these Adidas sneakers but I think these leather toe sneakers are the best of the sale. This pair of lighter ankle booties is in my cart These Hunter boots are a great staple if you need rain boots and they also have the Sperry boots on sale as well. This is one of the top sweaters on the sale and definitely a great fall staple under $50. If you can scoop up this dress in olive, it sold out before I could its a great deal – only $29! 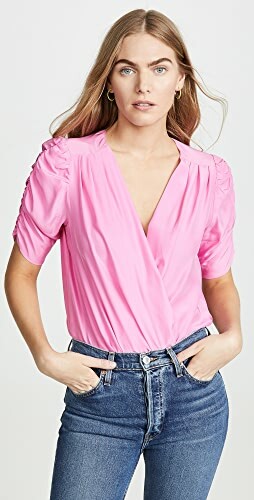 Also if you haven’t seen this tie-front top everyone has been saying great things and this pair of Hudson jeans is marked down to $99 and an amazing color. I was most surprised by how many amazing sunglasses were on the sale. This pair of Parker sunglasses completely sold out in both colors and should be restocked. Everyone’s also loving this embroidered bag and this pair of mirrored sunglasses. There are a lot of great totes on the sale, too! This is an incredible chance to score electronic beauty items on rare sale – things like the Clarisonic Mia, this T3 Hair Dryer (which I own and love), or this beachwaver curling iron are all great buys (and great early Christmas shopping gifts if you’re already thinking of that!). You’ll also find some Drybar products on the sale which rarely ever are marked down, new makeup brushes, and nicer shampoo/conditioner from Living Proof that make sense to scoop up in these larger bottles. This palette and this bigger palette are incredible if you’re looking for a one-stop shop for eyes and cheeks. 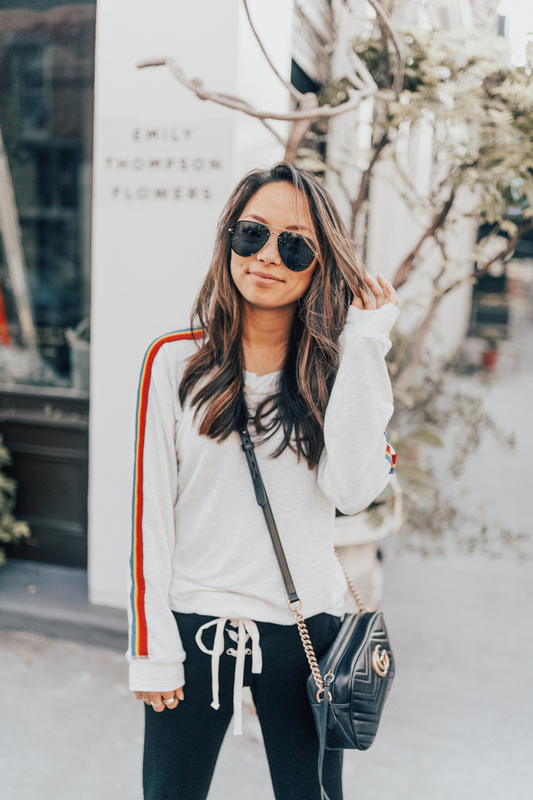 There’s no shortage of great deals on workout clothes – I’m a big fan of these Nike tops and always try and pick up some fun leggings on the sale. If you’re training for anything you can snag sports bras, sneakers and more! Good luck shopping the sale tomorrow! That Halogen cardi is perfection! 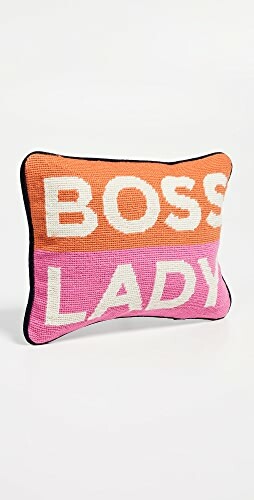 Adding it to my shopping pinterest board right now. Shop Tan Coats, Tan Pumps, Denim Capris, Pink Sneakers and more. Get this widget.